9580 Curry Ford RoadWelcome to the community website for Andover Lakes Phase 1 Homeowners’ Association, Inc.
Certain areas, messages and features of our site are only accessible to Registered Users, whose names appear on the deed to parcels located within the Andover Lakes 1 HOA Community as required by our Governing Documents. Please take a moment to set up a user name and password – It takes just a minute or two. Our local neighbors (Fellow Andovians) are also welcome to register here. 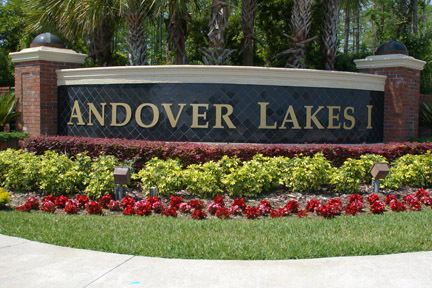 Please be advised that the Andover Lakes Phase I Board of Directors, as part of its engagement with the Association attorney and in keeping with Florida Statute 720.305 relative to fining non-compliant homeowners, has begun the process of turning files over to the Association attorney for further covenant enforcement action. Once this becomes necessary, all related costs, attorney’s fees, court costs, etc., will be at the homeowner’s expense, commencing with the first letter to the homeowner from the Association attorney. The Board of Directors will make recommendations relative to the noted violations of the Association Documents after which the Association attorney, to the maximum extent lawful and at the discretion of the Board of Directors of the Association, may impose a fine or fines upon a homeowner for failure to comply with any covenant, restriction, rule or regulation. Therefore, in order to avoid this action being taken against you, you are encouraged to maintain your property according to the Documents and Rules and Regulations for the Association.